After the basics of sending and receiving data packages over MQTT it’s to combine these in a more complex project. 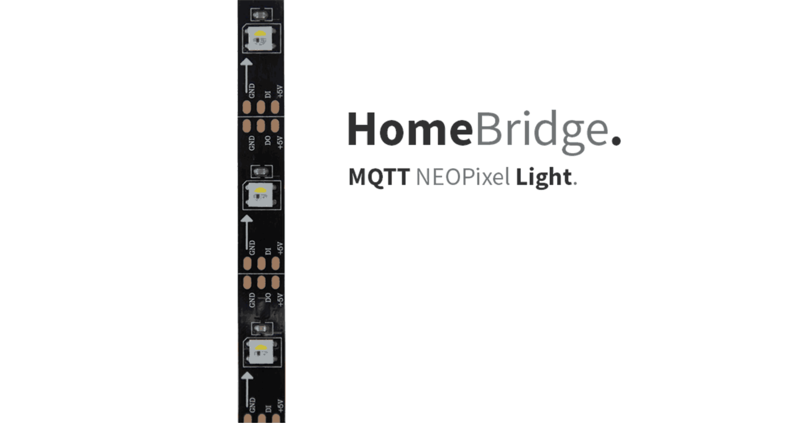 Lets see if we can connect a neopixel strip to our homebridge. // use this to reset parameters if you want them to always come on bright white. // Convert Hue/Saturation/Brightness values to a packed 32-bit RBG color. 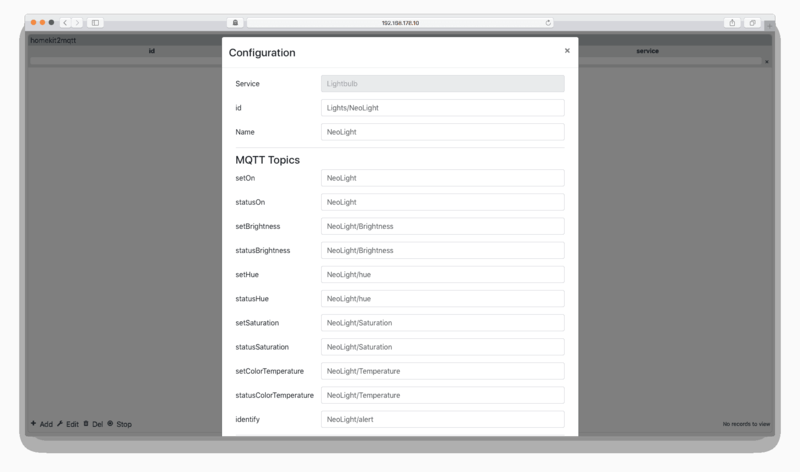 You can find the intopic when you have your Apple Homebridge based on MQTT up and running by going to your web browser and opening the Homekit2mqtt web server. 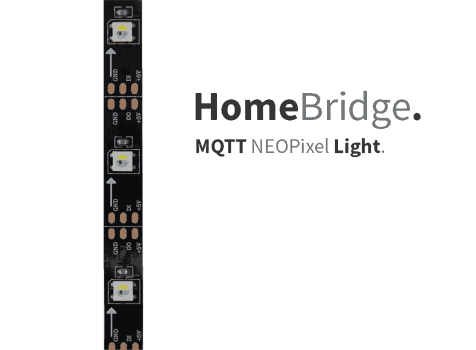 For this setup I added a accessories to the Apple Homebridge based on MQTT by removing all standard MQTT clients by selecting them and press DEL in the lower left corner. Then I pressed + Add, to add my new build neopixel light. 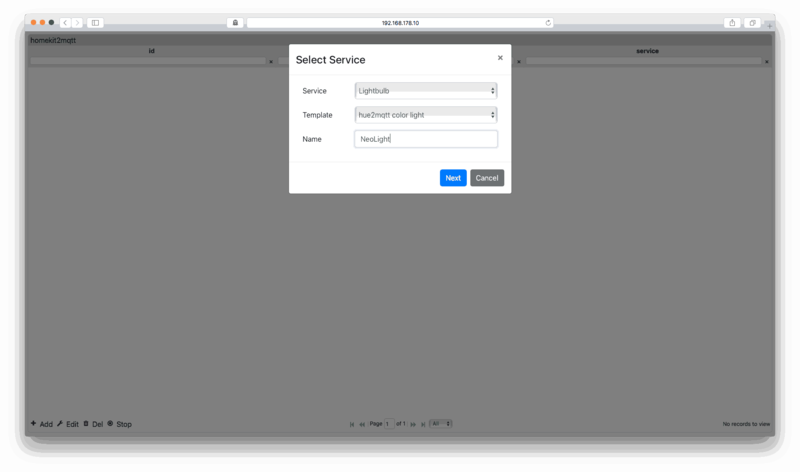 In the service field you can select your type of service, in this case want want to add a light bulb. 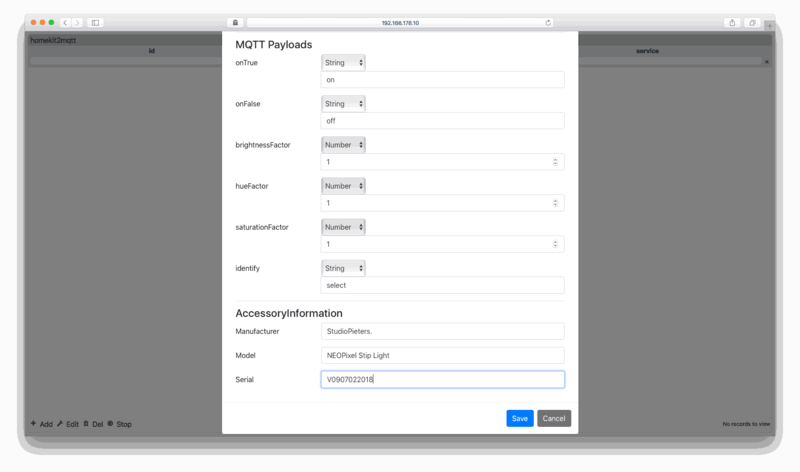 In the Template field you can select a predefined template , in this case we choose Hue2mqtt color light. In the Name Field we give the new service a name. In this case NeoLight. 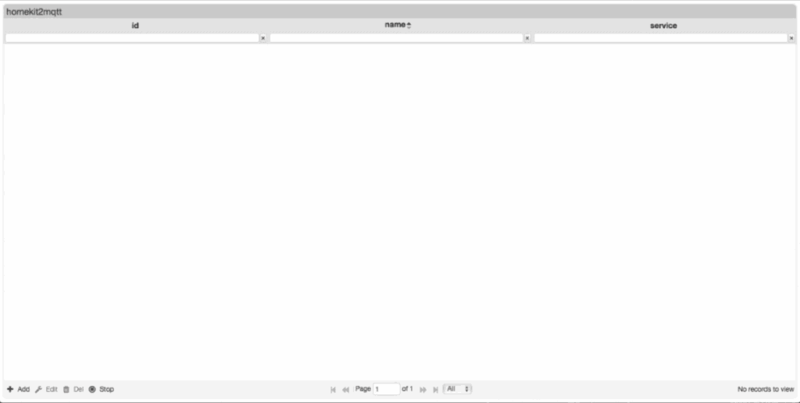 At The bottom we change OnTrue (0) and OnFalse (254) to a String value and to OnTrue (on) and OnFalse (off) and then select Save and close the web browser. and replace a the values to 1 as seen here below. You can add the accessoryInformation if you want, but isn’t necessary.